Mississippi, The Magnolia State, is a mildly large state with averagely populated regions and registers the lowest median income in the nation. Constituted as 20th state on 10th Dec 1817, Mississippi suffers from various natural problems like flooding, which limits the development of the state. The population census has seen a gradual and consistent increase in population census since 1970. The state’s health industry is ranked last and rated as worst by the Commonwealth Fund organization. The state suffers from various major problems such as obesity. Mississippi Board of Nursing is taking effective steps to change the scenario of health status in the state. What is the Mississippi Board of Nursing and what are its responsibilities? The Mississippi Board of Nursing is the regulatory board, which is aimed to protect the public health by maintaining the standards of licensing and regulating the nursing laws in the state. The Mississippi state has major flaws in its education system as well as health car system. The awareness level about the health problems is very low and nutritional knowledge is not provided in the basic study course. The Mississippi board has to cover a long path and need to take some serious steps for bettering the health status in the state. The Board is responsible for taking decisions on all the issues related to nursing and health care services. It keeps track of the various nursing professional in the state and also checks for any abuse registry against any working professional in the state. The Board specifies and defines the various divisions of the nursing practice such as licensure, practice and discipline in service. It provides various online services and information columns to assist the licensees and applicants for getting knowledge about various important topics related to nursing. 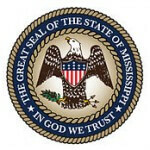 The Mississippi Board of Nursing has 13 board members, which are appointed by the Governor of the state and state’s legislative assembly. There are 5 board staff members excluding the executive director of the Board, who are appointed to keep an eye on working of the Nursing Board and acting on any complaint filed against the Board. The Board works according to the guidelines specified in the Nurse Practice Act and follow the standards levied by the NCSBN. The Board must adhere to the rules and regulations specified by the legislative council and the federal nursing rule book.